10 am – male and female dancers. 1pm – male and female singers. 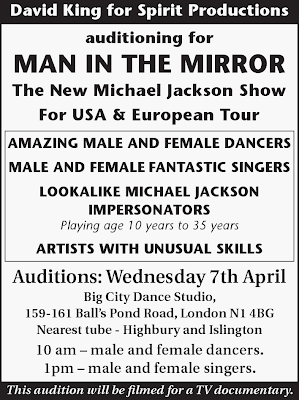 This audition will be filmed for a TV documentary. Does Blaze signal streetdance acceptance in theatres? The twits aren't angry! What did Blaze do right that others didn't? I don't wish to dampen Blaze's flame (when your show is named after anything hot you're open to lots of mediocre metaphors!). It's s brilliant show, had a successful run thanks to its (coincidental) tie to So You Think You Can Dance, with Tommy and Lizzie being two of the main attractions for new dance audiences, but it hasn't had as big a reaction on the social network scale. 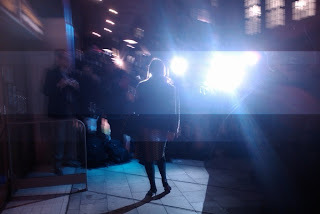 The press night was awash with excited people, but behind the celebrity spin it's been a bit different in the blogosphere. Less anger, for one! When a big show is coming up I use a Twitter tool called Hootsuite to track key words and see what people are saying about it. Sometimes I reply to them to get a bit of a debate going, drop them a link to our review, and the amount of tweets under each column gets bigger and bigger. Etc. Which prompted an even angrier reply - click it to read it yourself, I'm not going to repeat that person's ignorance. Blaze, complete with its Masonic symbols present (the pyramid intersecting a cup, if you haven't seen the Da Vinci Code) hasn't had the same reaction with the public (those connected via Twitter, at least). No "this is an outrage!" No "not in MY West End!" Just tweets about how excited they were to see it, how much they liked it and why you should see it too. The social network monitoring doesn't reflect the general consensus of the UK's opinions, I know, but shouldn't be disregarded for measuring people's interests. It's an interesting way to engage what people are thinking - @SaliWho, quoted above, even went so far as to take a photo of her theatre listings! Have people finally grown to accept street dance in theatres? Or are they only happy about it when it isn't based on a classical text, a la Pied Piper or Into The Hoods? Interesting. Blaze runs until 28 March. This week looks like it's going to be a really exciting week in the world of waacking. It looks like waacking is here on a local and international level, and it looks like it's going to stamp its mark on the UK in a very big way! Already classes have been taking place at Pineapple with Kumari Suraj (Dance2XS today and Thursday), and this Saturday at Maryland Studios will also have classes from Eva Schou and Sonia Soulshine. On Sunday things will be getting a little more competitive as waackers put their practice to good use with 1 v 1 waacking battles taking place at Barumba from 4-9pm, then at 10pm-3am the Waackers (LA) and the UK division, the Waacktitioners are going to have a mighty waacking showcase showdown at Madame Jojos. Kumari Suraj (read our interview with Kumari here) will be hosting the proceedings, while DJ Zulu will be providing the tunes. For further information, click the flyers to view them full size. For all our features on waacking, visit the waacking section on the main site. But paparazzi? Are you sure? Did someone inform the tabloids I had a hair cut? There was a good photographer huddle outside the doors of the Peacock Theatre. What's this all about? Incidentally there was no red carpet laid out, just cold, hard concrete to stroll across. "Ah yes, now I remember," I thought. "Lizzie Gough and Tommy Franzén from So You Think You Can Dance are in the cast. Those two dancers that were dancing professionally before the show anyway!" Now, I'm down with inviting people with whom the dancers might have worked with in the past, but letting the paps know of your whereabouts when you're on a leisurely trip to the theatre just blows it a little out of proportion. This is street dance, where dancers are used to going for a Nando's after a show than eating stuffed olives. Then again, when Arlene Phillips and Louise Redknapp (above) walked up and the cameras started flashing, what did I do? I stood in the background and held up a TooMuchFlavour flyer! With any luck I'll have scored some free advertising in today's Evening Standard! It's interesting to see how the media seems to be more interested in the runners up of So You Think You Can Dance than its actual winner. Through the hustle and bustle of the Peacock Theatre's packed space I didn't happen to see Charlie Bruce. Winning clearly isn't everything. The show was also a sell out, although two seats were quite obviously not filled right in front of me. What annoyed me the most is the fact that afterwards dancers I could have spoken to at any dance jam were out of reach from the general public, despite being just across the room, cordened off in a VIP section while a paparazzi snapped pictures of Louise for their magazine. Worth sticking around for? I think not! Hmm. Is it me, or will too much media interest in street dance distort the dancer's perception of normality when the hype dies down? Incidentally a discussion on the direction of street dance and its relationship with the media will take place at Collabo '10 at Stratford Circus this Friday and Saturday (19-20 March), and Tommy Franzén and Mark Calape (Animaineax) will both have a seat on the panel. If you're interested in being part of the discussion, and also want to see a dance show click here for more information. What do you think? Street dance and celebrity going too far? You can comment below! With the free-flowing rhyme’n’bass opener Sick Tonight, old school dancefloor hip-hop of The Beat and the euphoric Italo-disco of Get Better, le sac Vs Pip have delivered a second album of beat led polemics; instantly danceable, yet increasingly vital, The Logic Of Chance is a great leap forward for alternative conscious pop. With a microscope on violent crime stats (Great Britain), a declaration on the individuals role in a Democracy (Stake A Claim) and the perils of late night rail travel (Last Train Home), there is little slight of hand or ironic shape pulling here; Scroobius Pip delivers direct and true on the state of the nation, while dan le sac delivers his most advanced and eclectic soundtrack yet. Despite growing up in the same Essex village Stanford Le Hope, the pair’s paths had barely crossed before they shared a Christmas season working at the Lakeside branch of HMV. After a brief creative courtship – sharing Myspace links and remixes – their very first collaboration struck gold. Hot off the CDR burner, their first song Thou Shalt Always Kill was sent to XFM’s John Kennedy in demo form and within 24 hours Kennedy had played the track on his show. Pip swiftly set up a myspace page with their solitary track… “Suddenly it went crazy - everyone was emailing the track to other people, so the only thing to do was borrow £200 and make a video.” That video has now chalked up 2.5million views on youtube and the single’s hastily arranged release on Lex cracked the Top 40. Shunning the inevitable major label overtures, Messrs le sac and Pip opted to sign to Rob da Bank’s Sunday Best label, ensuring that their critically acclaimed debut album became one of the leading independent releases of 2008. Released in May ’08, Angles arrived just 12 months after the first fruits of their partnership had hit the airwaves. The duo’s welcome but unexpected rise, saw them working on tracks for their debut in the back of Pip’s Toyota Space Wagon, in between the growing list of festival, TV and radio engagements. That this ad-hoc germination should produce such a cohesive and thought provoking work, is testament to dan le sac’s production work and the enduring appeal of Pip’s word play. Angles entered the Top 30 and in the subsequent 18 months, the duo has toured Europe and the US to an expanding live following. 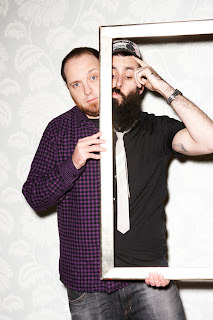 Visually and musically dan le sac Vs Scroobius Pip defy any prefab industry model, their towering structures of Casio enthused electro-hip-pop often cutting against the conventions of radio programming. And yet they have become airwave and chart regulars, producing the salient singles Beat That My Heart Skipped, Look For The Woman and the Radiohead sampling A Letter From God To Man. Before his career in dance, Kenrick Sandy from Boy Blue was studying graphic design. Adam from Urban Strides went to the same Mr Wiggles lecture we went to last year. The Big Dance 2010 is sponsored by T-Mobile. The (awful) street dancers social network is owned by George Sampson's uncle. It's awful because it's plagued with spam, not because its a bad website. Wild and Lawless tailored Diversity's costumes. Mark Calape from Animaineax was allegedly prevented from progressing in So You Think You Can Dance. Although until we can find a third party that can back it up, that's just a rumour. Yet despite all these enlightening facts, we still can't figure out why a sugary sweet brand sponsors a healthy industry. Tony GoGo is in town this week teaching the second in the series of Pioneers courses for Breakin' Convention. 20 dancers from across the UK are now confirmed as attending the intensive Pioneers programme. Although the places for the week-long course have been booked up, there is still an opportunity to train with Tony GoGo in a series of one-off evening workshops aimed at engaging those who want to improve their locking but at a fraction of the price for the entire course. Tickets are £14 per class and places are limited, so call the ticket box office (below). Billy's Q&A is an opportunity to listen to a genuine legend of locking talk about his life in dance and ask questions afterwards. Last year's Mr Wiggles Q&A took a deep and insightful look into the pioneer's mind, and the Tony Gogo Q&A is sure to be just as enlightening for those obsessed with hip hop culture. All workshops will take place at Sadler's Wells, London. To book call the Sadler's Wells ticket office on 0844 412 4300. Alien Ness will not be able to judge at Breakin' Boundaries tonight due to a problem at Heathrow customs. His apology was posted at 13:00 today on the UK B-Boy forum detailing the problems he encountered and has been copied in below. originaly i was detained because i didnt have a printed out itinerery showing my return flite. despite the fact that they had computers and internet in the office i was being questioned, they didnt let me get on to show them my intinerery in my emails. instead, they collected my luggage for me, and had me stand they while they searched it, they found a few alien ness dvds i was bringing to give out to some peeps. since i dint want them to think i was a bootleger or such thing, i explained to them that i was alien ness, and that the dvds were gifts i was giving to friends. 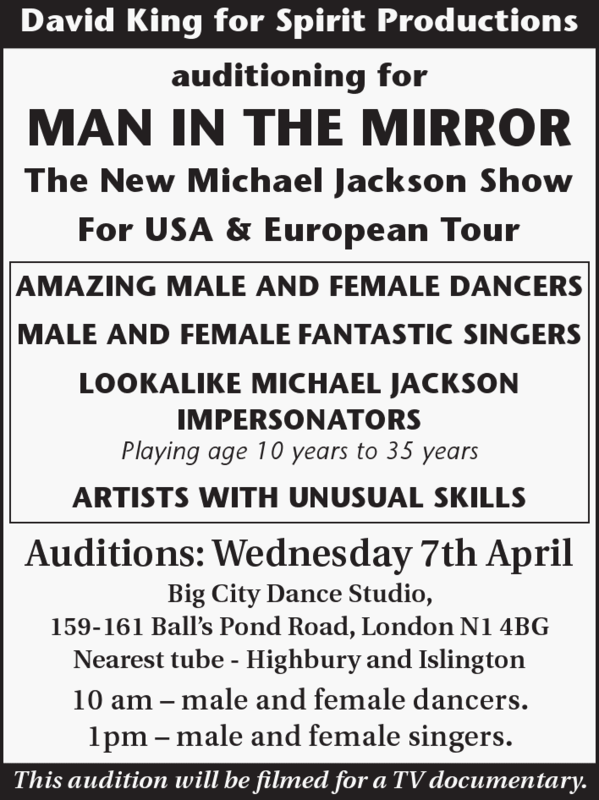 this raised suspicion, and they naturaly assumed that i was a proffesional dancer coming to london to do work without a work permit. i swear to you all i was not getting paid to judge at BB, i was coming to look out for my lil sis cynide and spend my bday weekend in london with my son machine. they started to examine my passport more, realized it was my 3rd (i do alot of traveling) and then realized that ive been in europe for a long time. despite the fact that im never in 1 country for more than a week, and legaly i can stay in a country for 3 months, they claimed i wasnt supposed to be in europe as a whole for that long. i have been questioned about this before but it was never an issue cause im never in spain more than a week, and im never in a diffrent country for more than a weekend, but i guess the old chick questioning me had her period or something and decided to put me on the next flite back to spain. (which was wierd in itself cause if i did break any laws they would send me back to the states not back into europe where they calimed i was there to long. again, my upmost regrets and apologies to cynide and everyone else who is a prt of breaking bounderies, spectators included. i feel like its my fault for not having a printed itinerery, but i honestly think the lady had it in for me because of the attitude she gave me the whole time. im sure breaking bounderies witll be a great event with or without me and i hope everyone had a great time. i love the uk, and london especialy and have gone there with or without the work just to chill with my peeps, so i plan on taking a quick trip back home and come back just so ths doesnt happen again. love, peace and godspeed to all that made breaking bounderies possible, aswell as the communty of dancers that makes london one of my favorite places to visit. Produced by Nyce & Don Newkirk. Hip hop is a culture that was created by and for the people, and when it comes to exibiting that love and passion for the art, nobody displays it like Kil Ripkin the Genereal, AKA The Ghetto Correspondent. Growing up in the Coney Island section of Brooklyn N.Y., Kil set out on his journey to be the next big thing in hip hop. Kil began as a solo artist quietly establishing his name as some one to be wreckon with, earning the respect of his peers alike. Kil began producing his own music working under the tutelage of his big bro, songwriter, producer and engineer Don Newkirk (Smoking Heads). Kil also sharpend his skills working with long time engineer Filthy Rich (Yosumi Entertainment). Quickly establishing himself as an up and coming producer going under the name of (Storm) thru out the five boroughs, Kil hooked up with Boot Camp Affiliates Mighty Real and Rebel X. They formed the rap alliance called the "Supreme Forces" who featured the likes of Space, Telepathic and the Young Veteran Torae. Working on a Rebel X solo project, Kil and Reb decided to form the New York underground group "The F.E.D.S". The two were a deadly combo releasing several underground hits including the single released on Step In Deep Productions, titled Drama featuring Rasheeda. Kil has put in work with several other artist and groups like, I.G.T formerly of loud records, Get Doe Entertainment, Stix (Horror City), Kings Kounty Records, The Plague, and several comilation albums most notably Game Over released on Yosumi Records. Credits also include co writing and producing songs on 40 Acres, Get on The Bus and Crooklyn soundtracks, and most of the production on Torae's Coney Island Finest mix tape. After years of producing for several artist and the split of the FEDS, Rip turned his focus back to his solo career and started working on the revolutionary banger Black Power Black Love The Buz CD, with production from Kil, Don Newkirk and Valentine of I.G.T. The album became the theme music for the revolutionary Uhuru movement that was taking place in Brooklyn, and Kil's passion grew even more to get his message across. Kil's Stage prowess filled many venues throughout the New York area which made his shows the place to be. Off the success of Black Power Black Love, Kil and his Coney Island bretheren Torae continued to groom their work together and with the help of then manager (Squirrel) Attic Entertainment, they linked up with up and coming DJ Vega Bennenton and his partner Wally Suede and together they formed the hip hop super group The Coalescence. They released the underground hit Promises and the group was nominated for two undergroung music awards including song of the year. The Coalescence will be back in the lab soon but until then expect alot of heat from the General starting with the Balancing Act produced by Mikal Evans (Deep Rooted) Raticus and Eric G. The music is soulful, truthful, spiritual and rebelious. Surely after one listen to Kil Ripkin you will realize very quickly what hip hop truly sounds like. The website went live yesterday (1 March) and is uses the popular Ning.com social network, allowing people to sign up to the website and take part in the community. It has almost 100 members after just one day in business. For those wanting to know more about krumping there's even an Amazon store to buy DVDs, and important to the UK krump scene is an event calendar. 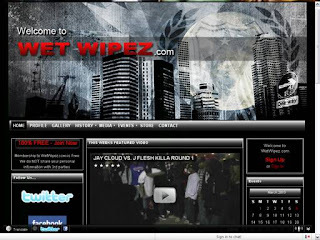 To sign up, visit www.wetwipez.com and follow them on Twitter. There were 26 entrants for House Dance UK, which was whittled down to 12. Here are the results, although our spelling is only as accurate as we could guess - there were plenty international competitors! #NewMusicMonday - Eric Bobo Meets DJ Rhettmatic - Hip Hop versus Bongos! Live bongos versus a live DJ = Bobo Meets Rhettmatic, a free album download of 20 hip hop songs remixed with a bongo rock twist, including classics like Africa Bambaataa's Planet Rock, MC Raw Base and DJ Easy Rock's It Takes Two and even a few Michael Jackson numbers. You can Download the album for free here. Special thanks to MoreThanAStance for this find.